Endoscopic techniques in neurosurgery have allowed an increasing number of skull base lesions to be treated through more limited exposures. 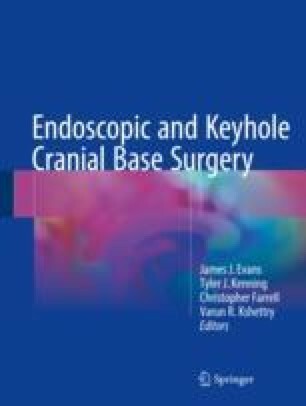 In this chapter, we review the surgical anatomy of the craniocervical region and discuss the more recent advances in endoscopic endonasal and transcranial techniques as applied to lesions in this location. We will focus on the surgical treatment of chordomas, as these are the archetypal lesions encountered in this location.